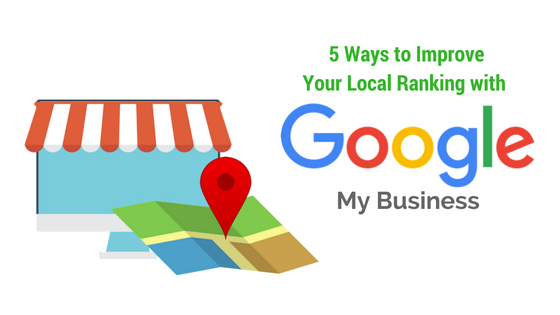 When we talk about local SEO, getting listed in Google is one of the most important steps to take if you want to be found in your target location. However, there had been so many changes in Google’s ranking algorithm (which determines how businesses get found in Google search) over the years that it’s understandable that many marketers are confused about how to update and optimize their listing. If you are already working on optimizing your local SEO presence and getting ready to tackle your Google Business Page, this post will guide you through the process. 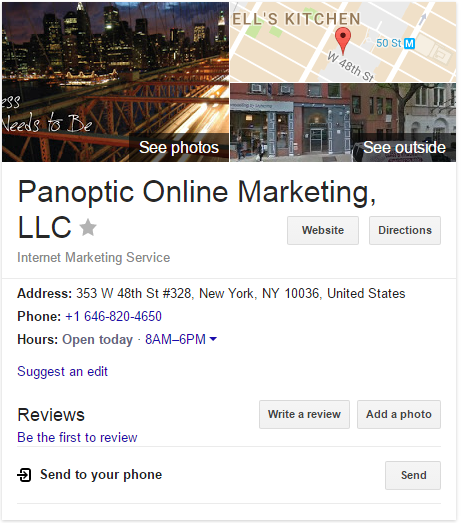 What is Google My Business Page and How Do I Get One? Google My Business is a tool for managing your business’ online presence across Google including Search, Maps and Google+. It’s basically a dashboard where you can manage your business information (name, address, phone number) along with your business hours and types of payment methods that you accept from customers. You can also interact with your customers through reviews and expand your presence through the Insights made available through the GMB Dashboard. If you previously created an account Google Place or Google+ then those accounts have already been migrated to Google My Business, so all you have to do is login to your account and do the necessary updating. If you’ve never added your business to Google, or you signed-up but never verified the account, then you need to do that first. Guidelines for how you can claim and verify your business on Google can be found here. For businesses with an existing Google My Business Page, here are 5 things you need to do to optimize your presence. 1 – Review and update your business information. Have you recently change location? Do you have new contact information? Are there any changes in your business hours? If so, then you need to make sure your page displays the right information. One of the main reasons that businesses don’t show up in search results for their location, business type, products or services is because of outdated and/or incomplete business information. Make sure that you always follow Google’s guidelines for representing your business to avoid having your page suspended or delisted. 2- Choose the appropriate categories for your business. It can be tempting to add multiple categories to your business page thinking that this will help you gain more exposure in searches. However, if you overstuff your category section with irrelevant selections then Google may decide to limit your exposure until you remove unnecessary categories. Remember: Categories describe what your business is, not what it does or sells. Adding images to your listing can be a great advantage for your business. According to one study, adding photos to your business listing can result in 35% more clicks, and businesses with photos are twice as likely to be considered reputable than those without. If you have the budget, a 360-degree photo or virtual tour of your business. Connecting your Google My Business page with Google Plus can help increase your chances of being found in searches, especially if you share relevant content from your website on a regular basis. Make sure to share any promos/offers, blog posts and special events in Google Plus. 5- Actively respond to reviews and consider adding them in your website. Many customers now read reviews about a product or service before they make any purchasing decisions. Even if you don’t appear in the top-tier search results, having an authentic good review can make a big difference. Google My Business makes it easy to manage reviews and rating through its dashboard, so be sure to read and respond to any reviews you receive. Don’t forget to embed your Google reviews in your website. This can help build trust from potential customers who came to your site from other channels.